We repair all models of Bendix Freestanding, Integrated & Built-in, Chest and upright Refrigerators, Freezers or Fridge Freezers click here for more information. We repair all models of Bendix Freestanding, Integrated & Built-in Dishwasher click here for more information. We repair Bendix Cooker Hood click here for more information. 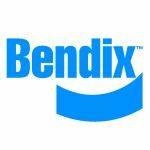 We repair Bendix Freestanding, Integrated & Built-in Washing machines, Dryers & Washer Dryers click for more information. We repair Bendix Gas & Electric Freestanding, Integrated & Built-in Cookers, Ranges & Hobs click for more information. Our engineers can repair or install a wide range of domestic appliances including Washing Machines, Fridges, Cookers, Fridge Freezers, Food Waste Disposals, Ovens, Tumble Dryers and more… We call out to your home or workplace on a day that suits you and undertake the repair in a professional manner and to your satisfaction. nb. it's not always possible for our engineers to have the part you need with them on the first visit. Established 1984, A Brassett Proprietor: P C Brassett.